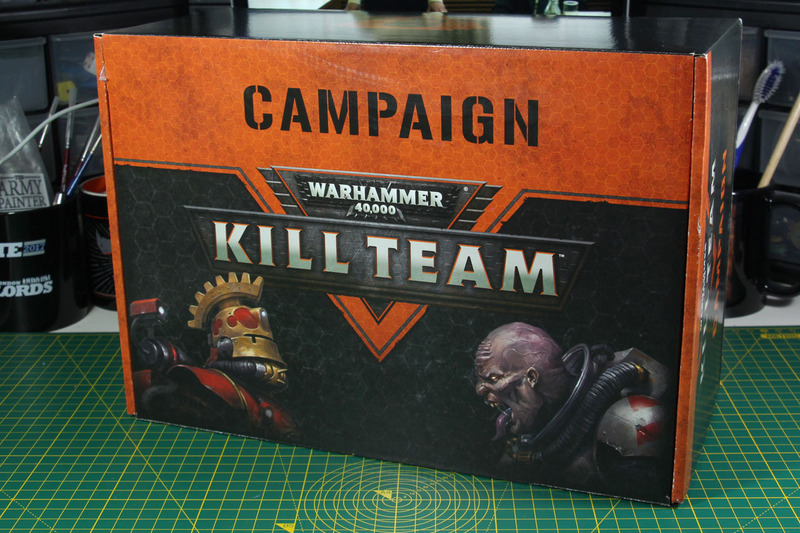 Similar to the Organised Play set for the Underworlds series, Games Workshop provided the new Kill Team ruleset with a similar pack - the Campaign box. 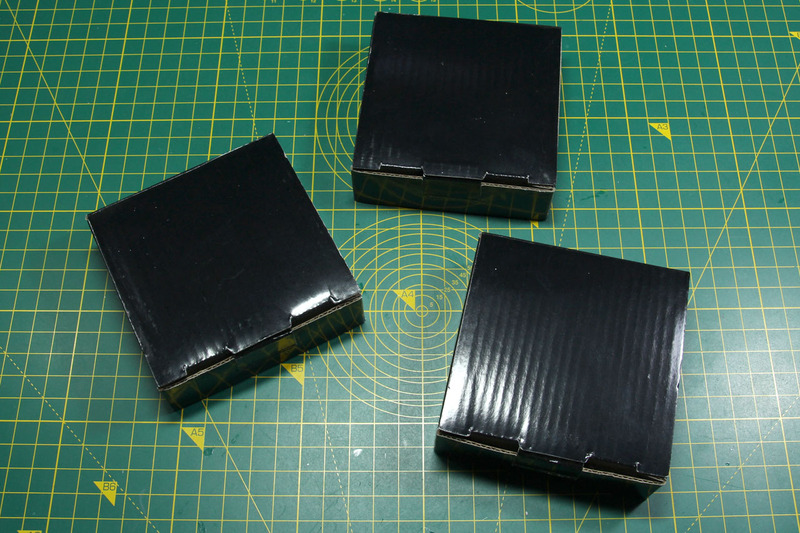 The content of these boxes support an open instore campaign. 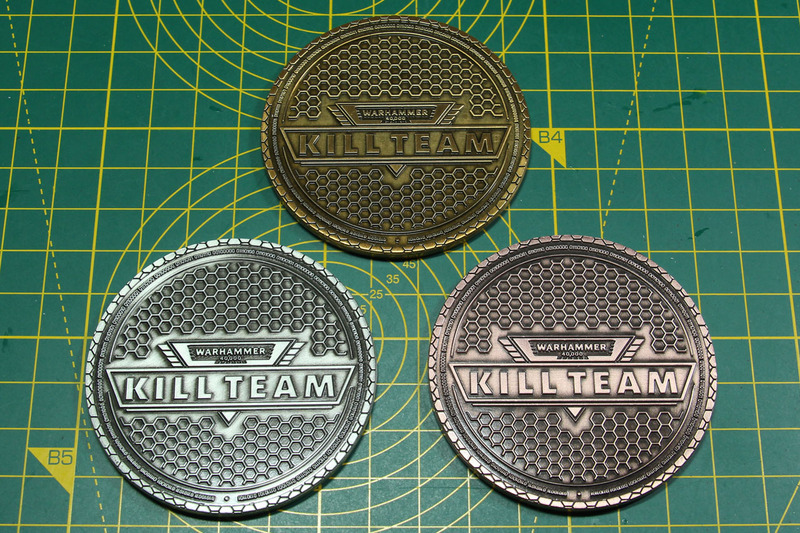 Each player has a Kill Team card and get's stamps for each week they play a game of Kill Team. 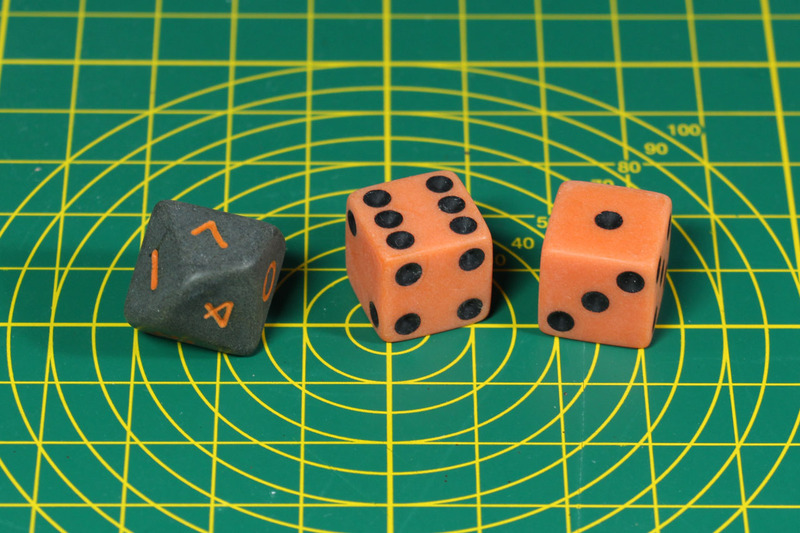 If you fill up your card (usually 4 stamps) you can choose either a set of 6 acryl objective tokens or a pack of dice (a grey D8 and two orange D6). 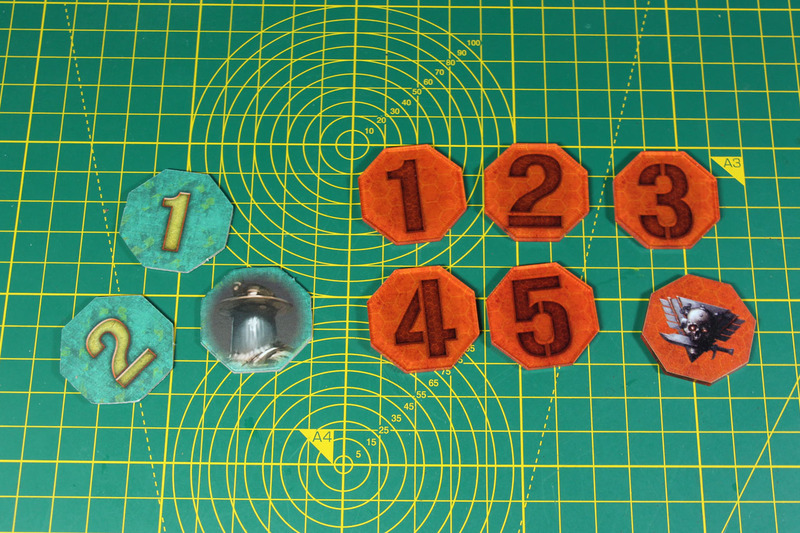 The acryl tokens are here shown in comparison with the tokens from the Rogue Trader boxed set. 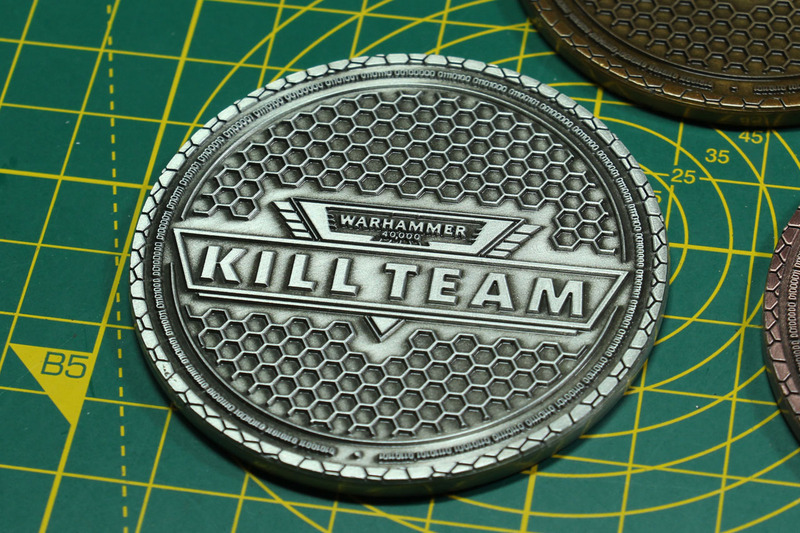 There is some general promo material with this kit and the delivery of several Kill Team products. 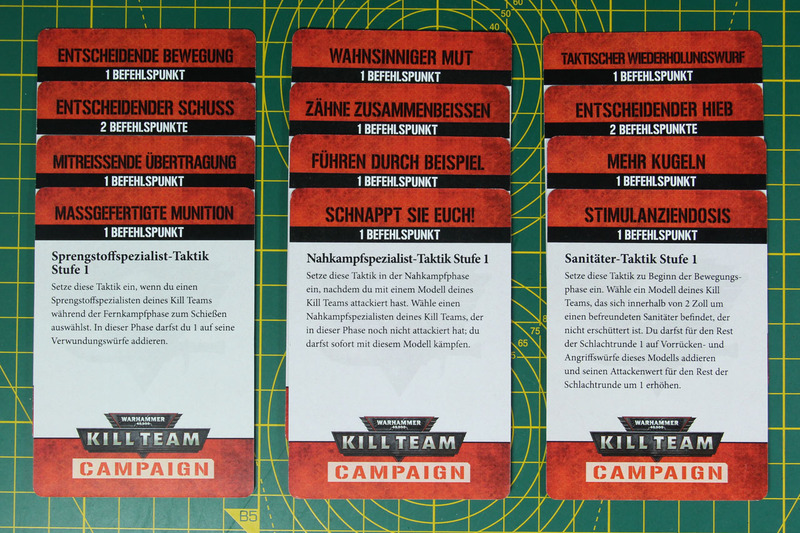 With the campaign box comes a set of 12 different campaign branded tactic cards. 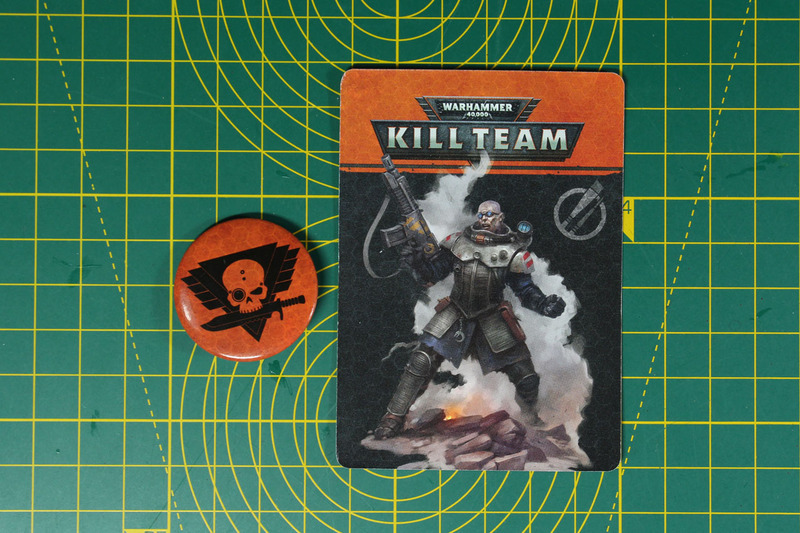 With the initial release of the Kill Team boxed set, were things like collectible cards and a Kill Team badge. The later were given to me by a local dealer and are not directly connected with the Campaign set. But you see, there is more and it makes sense to drop by a brick & mortar store from time to time. There are pins as awards for best plays as well. 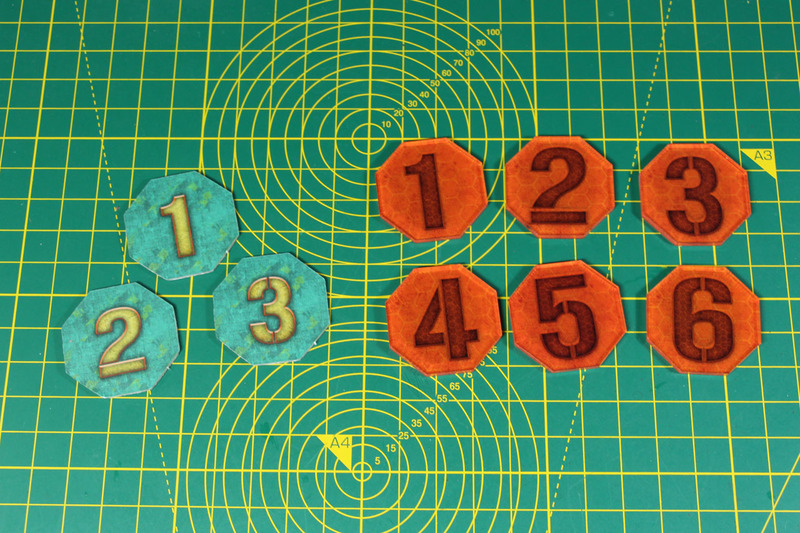 There are two Guerilla badges and badges for the 16 different factions. 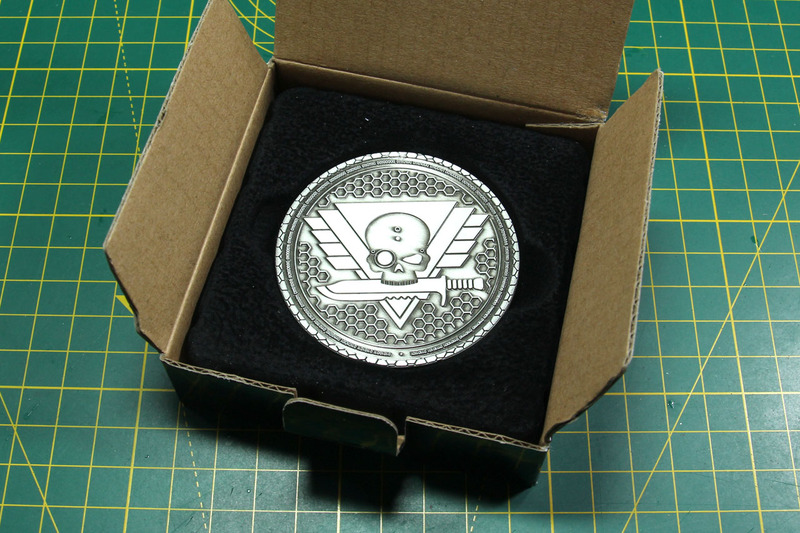 Each week the best of each faction will be noted and afterwards awarded with either a bronce, silver or gold pin of their faction. 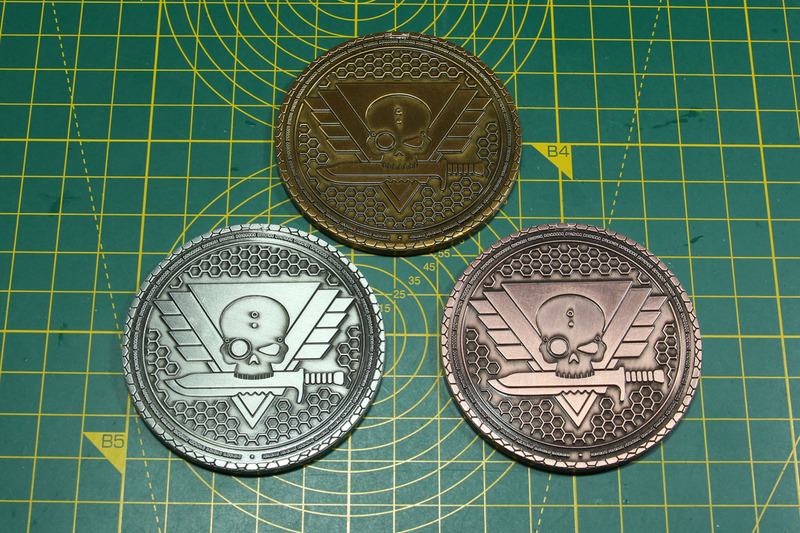 The main prize of the campaign set are the three medals for the best of the month. These medals are made from metal and really heavy. 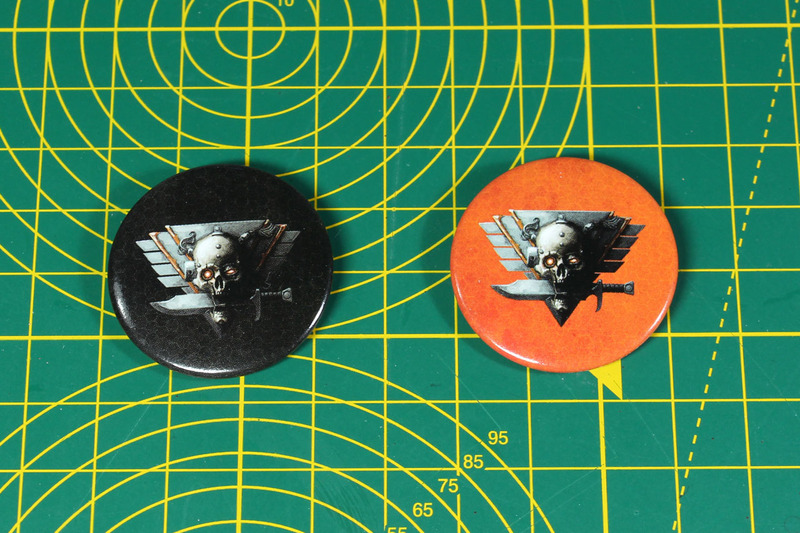 They are designed on both sides, feature the Kill Team icon as well as the logo on the back. They come in bronce, silver and golden. A real nerdy easter egg on these medals is the binary code around the trim. It spells out Skirmish Combat in the 41st millennium. 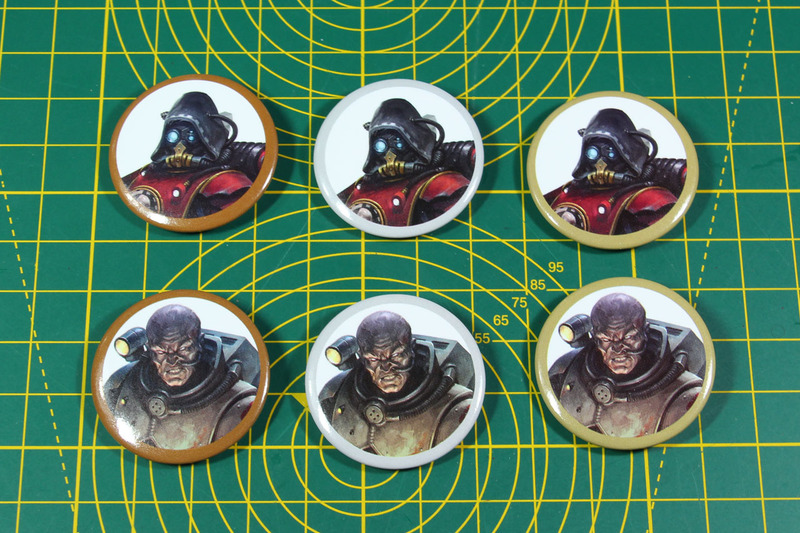 If you are more of a painter and not a gamer, there is a special prize for the best painted Kill Team of the campaign. 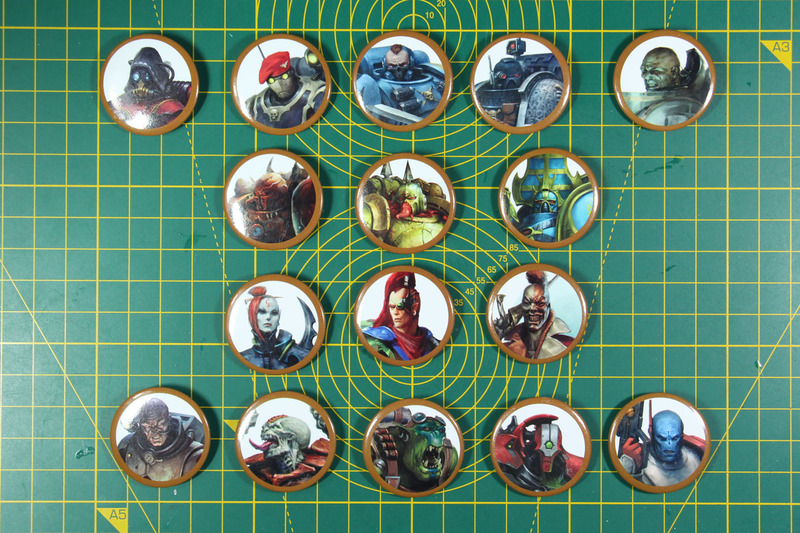 That is a digital art print of the Kill Team artwork. Unfortunately I wasn't able to show this one in here, but the motive is shown in the article on Warhammer Community. I like the concept of the event support. The medals are an amazing value and I can really see, that they motivate people to participate. Another thing that I really welcome, is the expansion of these events / support towards the independent stores. I like the idea of Armies on Parade and such, but these are limited to the actual Games Workshops / Warhammer Stores, but Kill Team and the other organised play sets are available to FLGS (friendly local gaming store), making it more accessable to people not living in or around bigger cities.